From my flickr Westbahnstrasse Tram Track Renewal set. 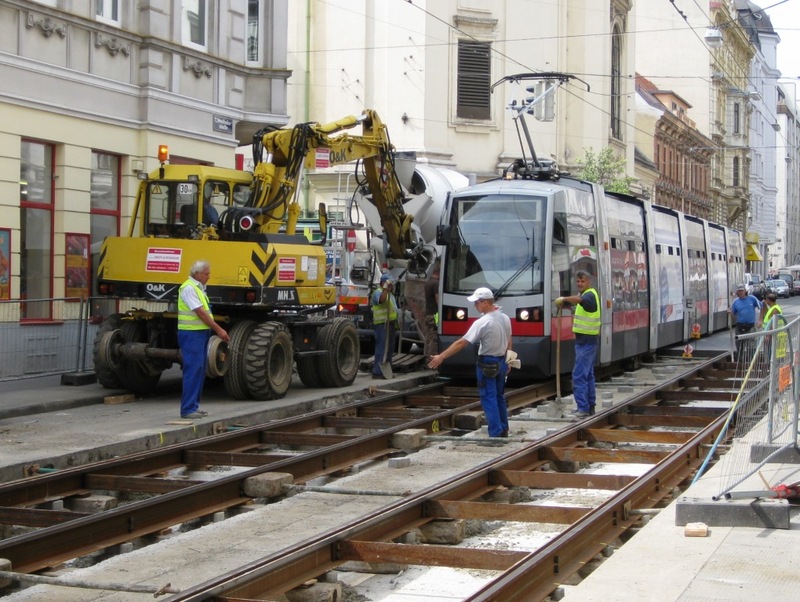 I just finished my series of website pages describing the Westbahnstrasse Tram Track Rehabilitation Project completed during the summer of 2009. The two new pages present aerial views of the work (from a neighbor who was also fascinated by the construction process) and photos of the workshop where the Wiener Linien prefabricate the track by cutting, bending and welding together sections of rail. The website pages include photos, descriptions and YouTube video links. Now I can get started on this summer’s Westbahnstrasse project: the Westbahnstrasse Chronicles! Stay tuned.